I would like to share with you card with awesome Egyptian Sarcophagus die and Pyramid Treat Box. 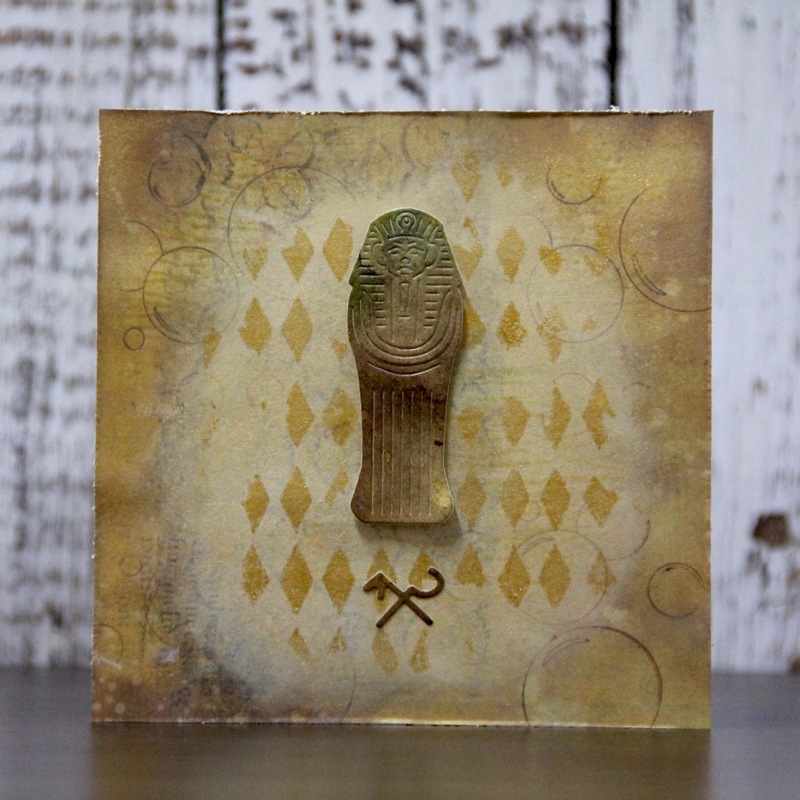 I did not use any patterned paper – everything on background is made with Distress oxides ink and gold Aztec craft paint. I worked on watercolour paper because I applied many layers to achieve this look. 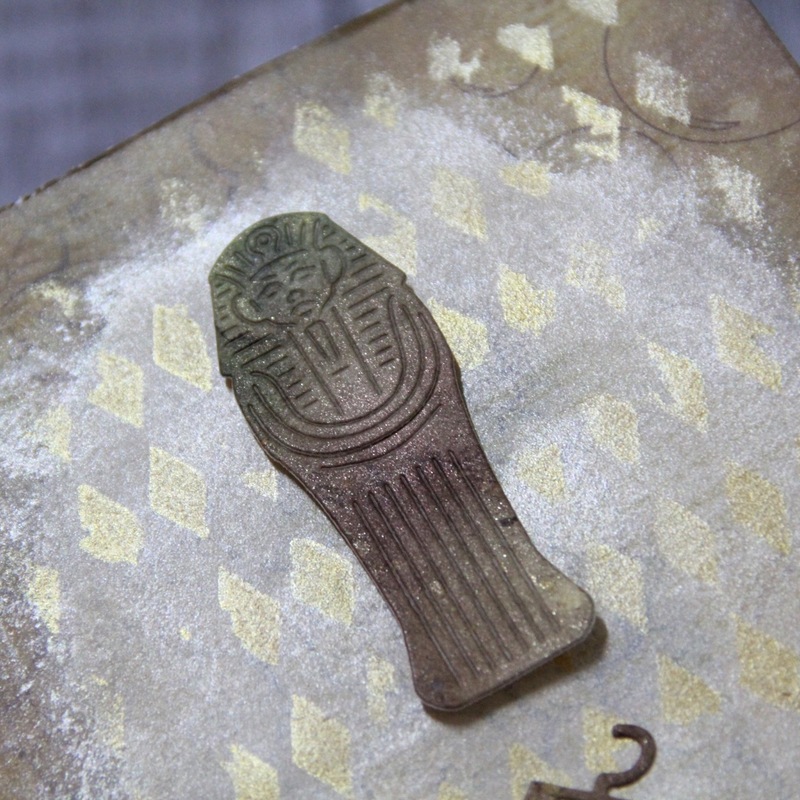 This card is really great for any person who loves ancient Egypt. 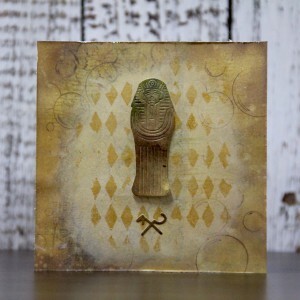 This entry was posted in Frantic Stamper and tagged cardmaking, frantic stamper. I would like to share with you 2 cards with Russian motives. When I was creating them I wanted both to have elegant so I choose white-gold combination. 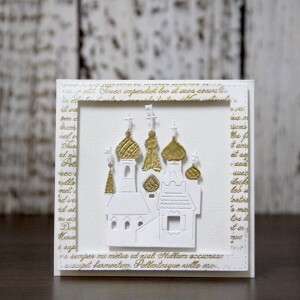 For my first card (it is mini card) I used new St.Basil Cathedral die and Handwritten background stamp. All gold details are made with Versa mark ink and Versa mark embossing pen and gold embossing powder. To make frame I used Stitched Square Frames. 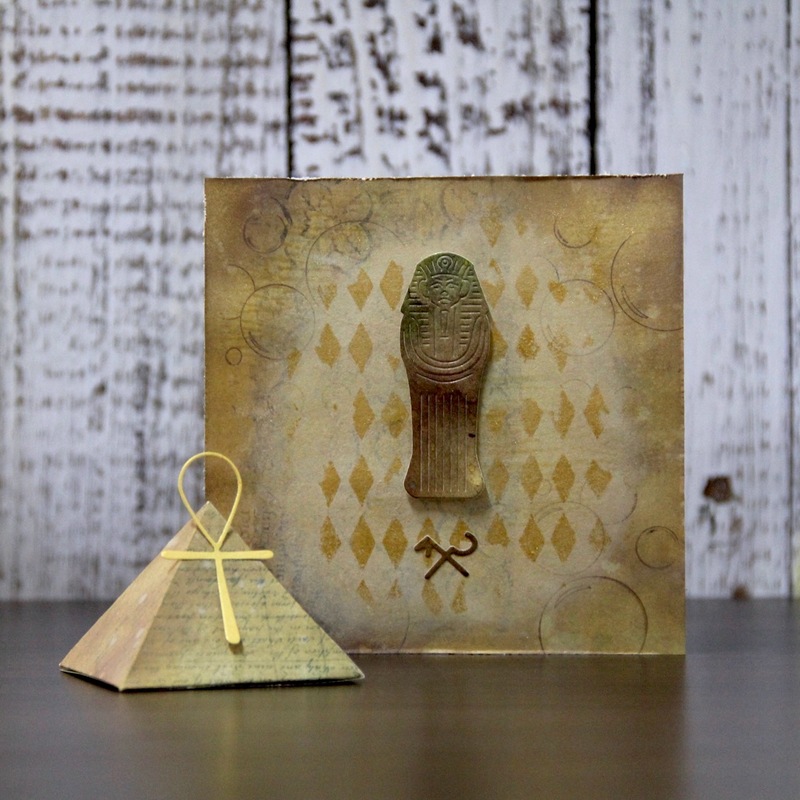 For my second card I used square – rest of my first card – for background. From white paper I die cut Russian Nesting Dolls. I have to say that these dolls are really unique. All dies are very intricate but I wanted to stay in gold white combination so I let them white. 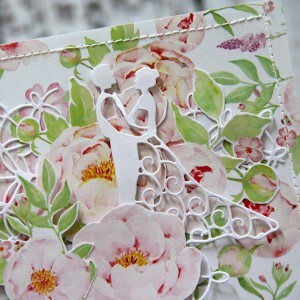 in my card I used lovely die FRA-DIE-10348 Bride and Groom Silhouette. I made wedding card full of flowers. 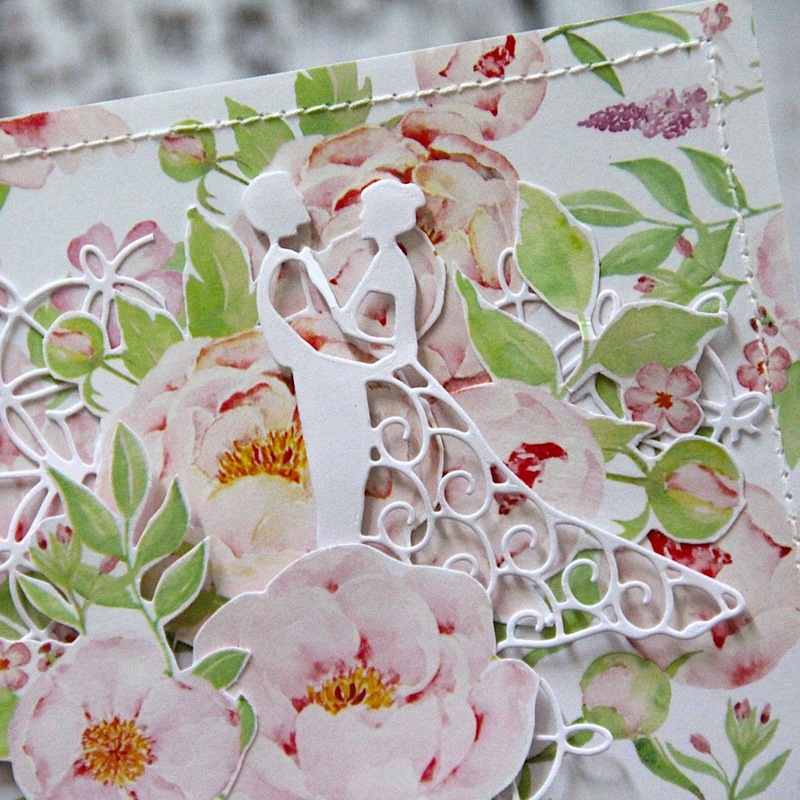 I used polish paper from Galeria papieru and I cut some flowers to build background for my couple. I also made frame on my sewing machine. 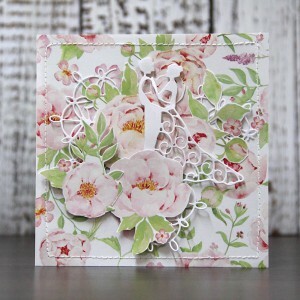 In background I also used FRA-DIE-10114 Lace Geometric Doily. 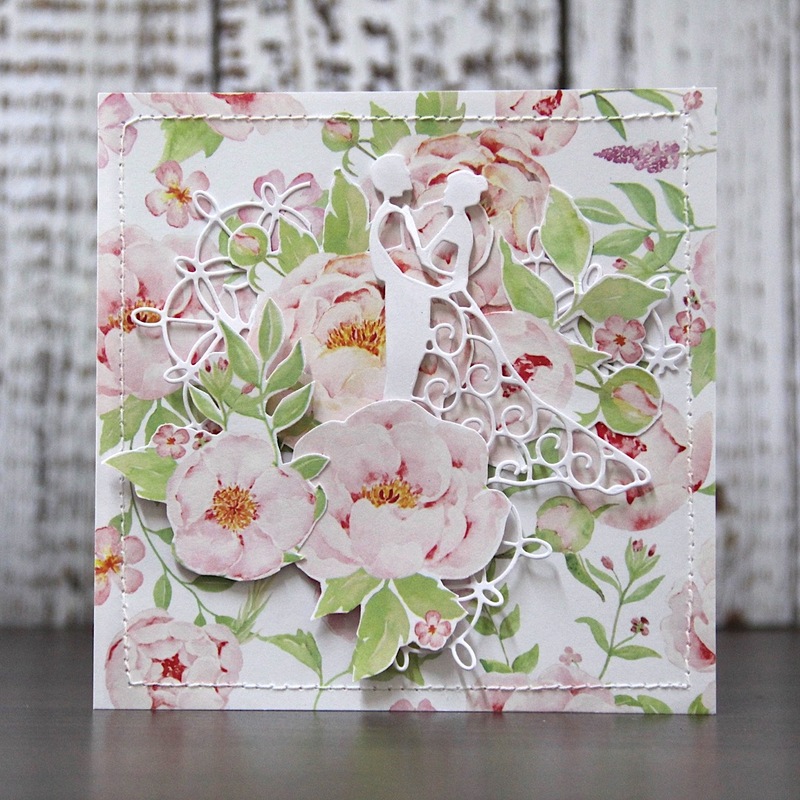 This is really easy card and you can use any floral paper from your stash. 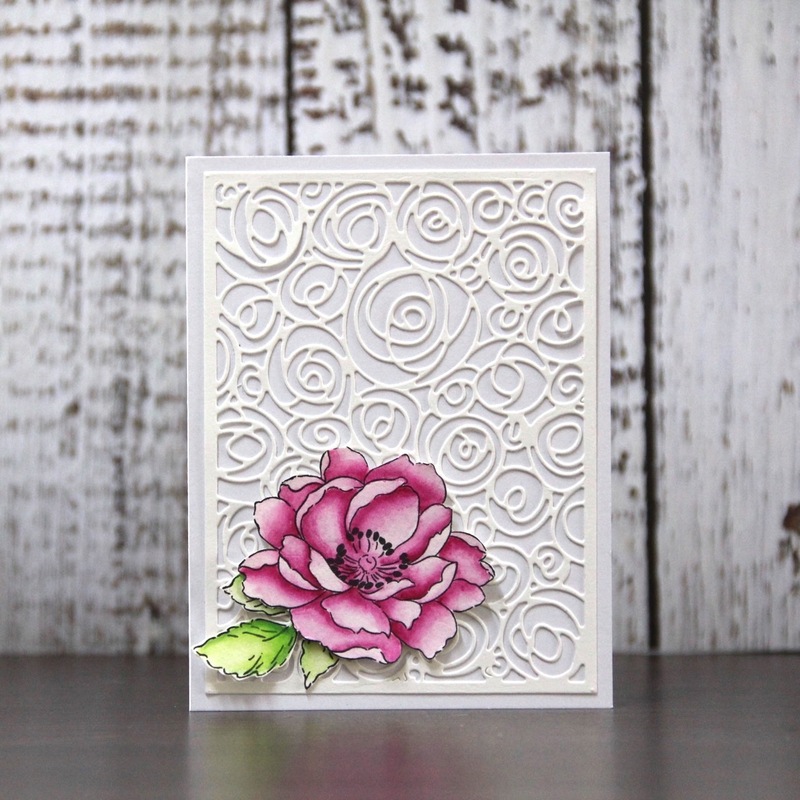 Sometimes you just do not need to use any colours or stamps to create nice romantic card. 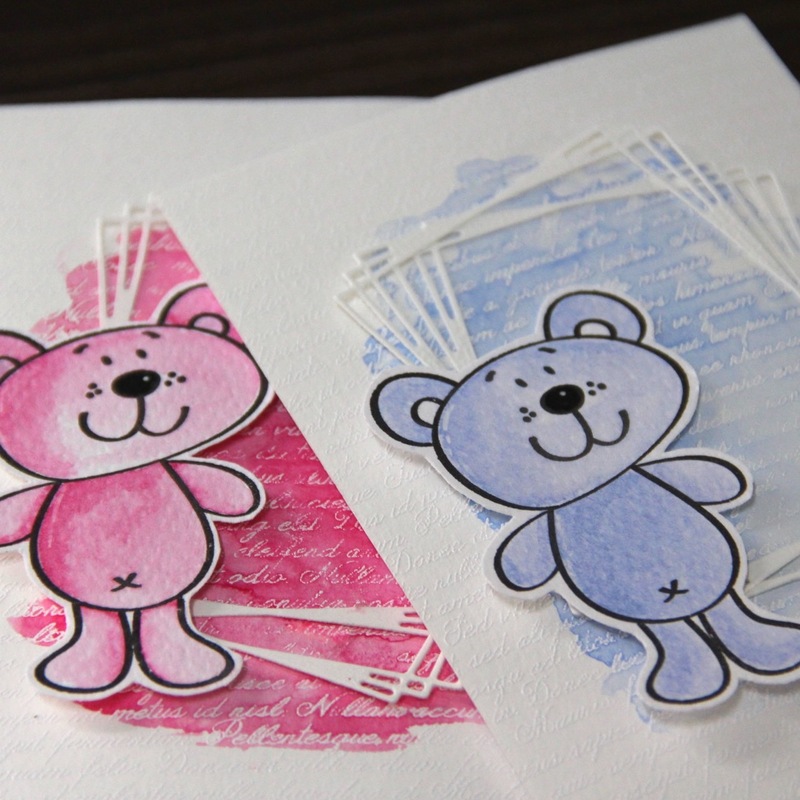 I would like to share with you two cute bear cards which I made for Frantic Stamper. 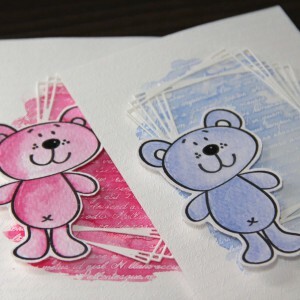 Bear image is my own I draw it for myself and my friend made stamp from my image. I worked on watercolou paper, with Versa Mark I stamped background stamp – new release by FS – FRA-CLG-B032 Handwritten and I heat embossed it with Stampendous white detailed embossing powder. Than I coloured background with Gansai Tambi watercolours – I choose the same colour as I used for colouring images. I die cut 2 frames – FRA-DIE-10290 Rectangle Tangled Frames and I glued images with 3D foam tape. I love Frantic Stamper background dies. I really enjoying creating card with them. 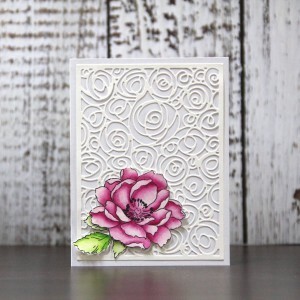 For November there is new awesome die – FRA-DIE-10197 Spiral Rose Card Panel. 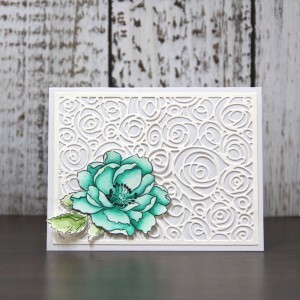 It is very detailed die and I wanted to highlight it on my card so I add just flower to the corner of card. 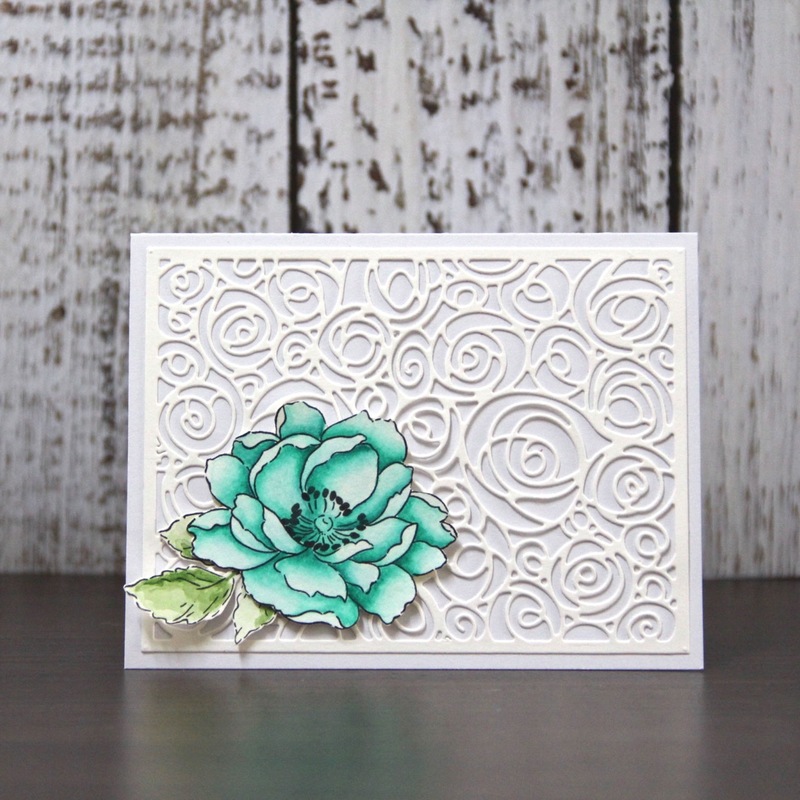 Flower is from Altenew Beautiful day stamp set and I coloured it with Gansai Tambi watercolours. Than I just fussy cut it and glue with 3D foam tape. 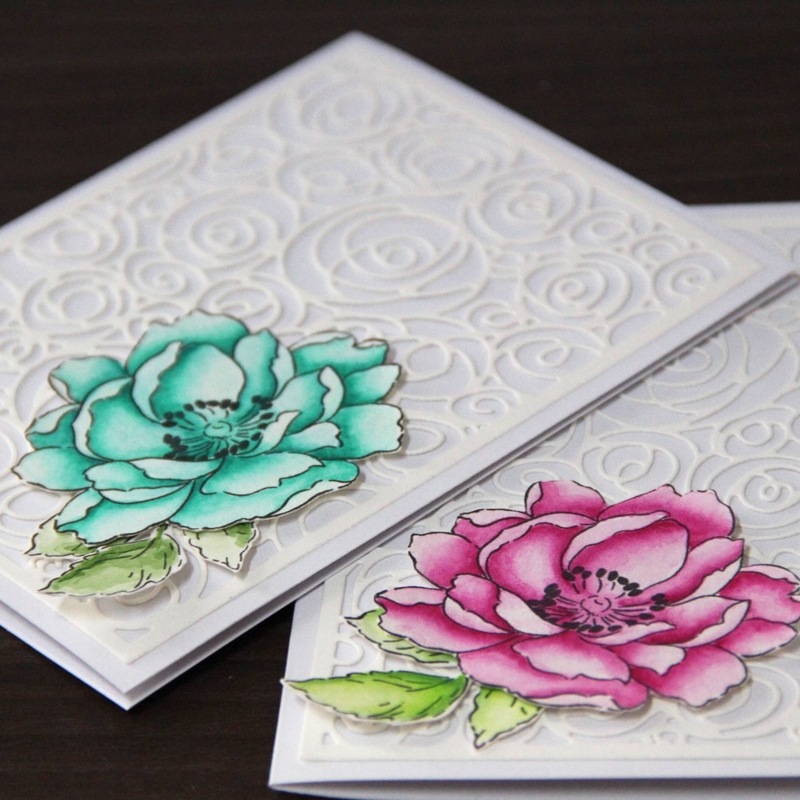 These cards are really simple but colouring took me a while.